From across the Channel, news reaches Rakewell that the novelist, poet and aspiring gargoyle Michel Houellebecq is to curate an exhibition at Paris’s Palais de Tokyo next year. Jean de Loisy, the museum’s president, has described the experience as a ‘cinematic’ adventure featuring installations and films by artists including Robert Combas and Iggy Pop. The exhibition will apparently offer us a glimpse into ‘the world of Michel Houellebecq’; given the nihilistic tone of the novelist’s oeuvre, the Rake can’t help but raise his eyebrows at what the said ‘world’ might resemble. While ‘Planet Houellebecq’ may not be the most enticing of propositions, the 59 year-old author is no stranger to the art world. In 2002, he wrote an essay for a Thomas Ruff monograph. Eight years later, his novel La Carte et le territoire, a satirical look at contemporary art, was awarded the Goncourt Prize – France’s highest literary gong. Nor is he averse to a spot of moonlighting; he has directed films, recorded albums and even popped up on the silver screen himself. 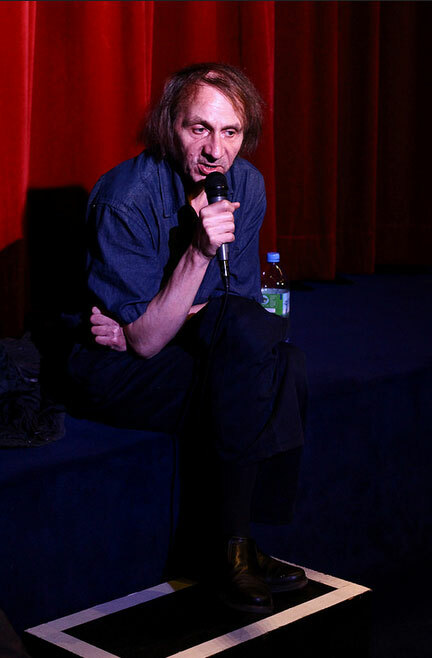 Last year saw the release of The Kidnapping of Michel Houellebecq, in which – you guessed it – Michel Houellebecq, as portrayed by Michel Houellebecq, is kidnapped. He has even been known to feature in his own books, inserting a character called ‘Michel Houellebecq’ (who, incidentally, is hired to write an essay for a major artist’s monograph) into La Carte et le territoire as a plot device. Rakewell is not one to judge, but if Houellebecq carries on at this rate, anyone might get the impression he was a little self-obsessed. ‘Together, we perfectly exemplify the shocking dumbing-down of French culture and intellect’.